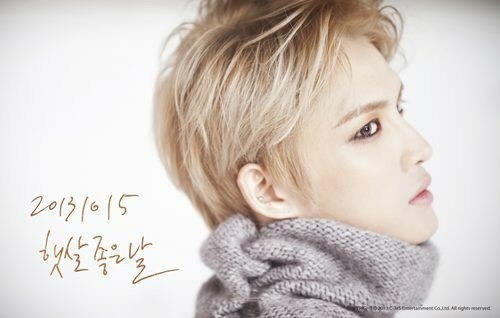 JYJ’s Kim Jaejoong will be pre-releasing a ballad ahead of his upcoming album. The ballad, which will be released two weeks ahead of the album, is a piece that Composer Baek Moo Hyun, who also wrote ‘Love is like a Snowflake’, participated in and has lyrics that depict the longing for a love already lost with the help of an acoustic guitar and string accompaniment. Kim Jaejoong’s melodious voice and sophisticated vocal talents will be supported in the song by Noeul’s Lee Sang Gon to create a high-quality production. Kim Jaejoong’s first full-length album will be filled with a variety of rock genres; all songs have been recorded and the album is currently receiving its finishing touches. Meanwhile, Kim Jaejoong will be kicking off his Asia Tour in Seoul on the 2nd and 3rd of November. Ticket reservations were held this week and all 14,000 seats were sold out in 15 minutes.